Love is an ability, not just a feeling. 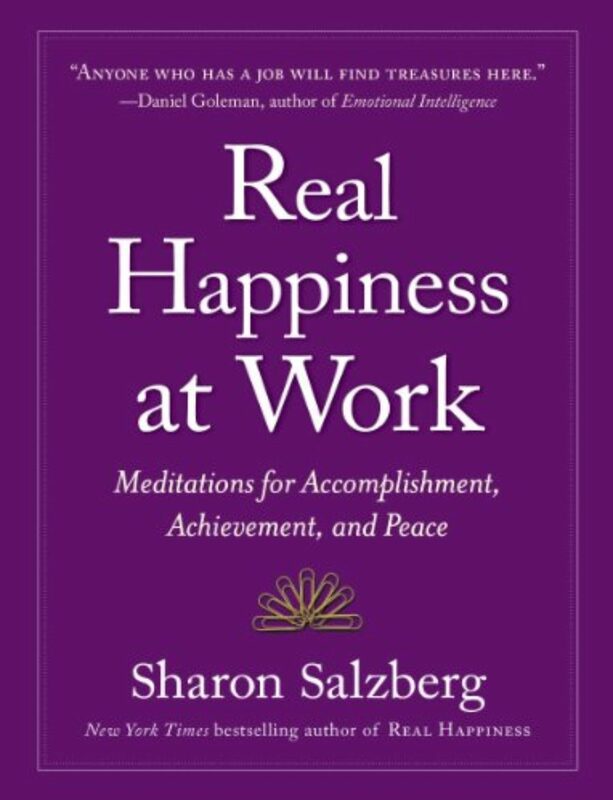 That’s the lesson Dan in Real Life brought home for meditation teacher Sharon Salzberg. The story of Steve Carell’s flawed but loveable character echoed Sharon’s own work — to realize love as a capacity within ourselves. Lily Percy, host: Hello, fellow movie fans. 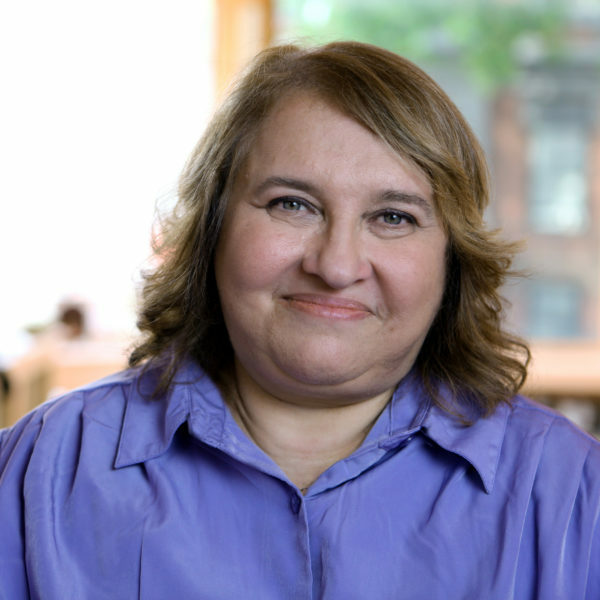 I’m Lily Percy, and I’ll be your guide this week as I talk with Buddhist teacher Sharon Salzberg about the movie that changed her, Dan in Real Life. If you haven’t seen the movie, don’t worry. We’re going talk about everything you need to know to follow along and enjoy the wonder that is Steve Carell. 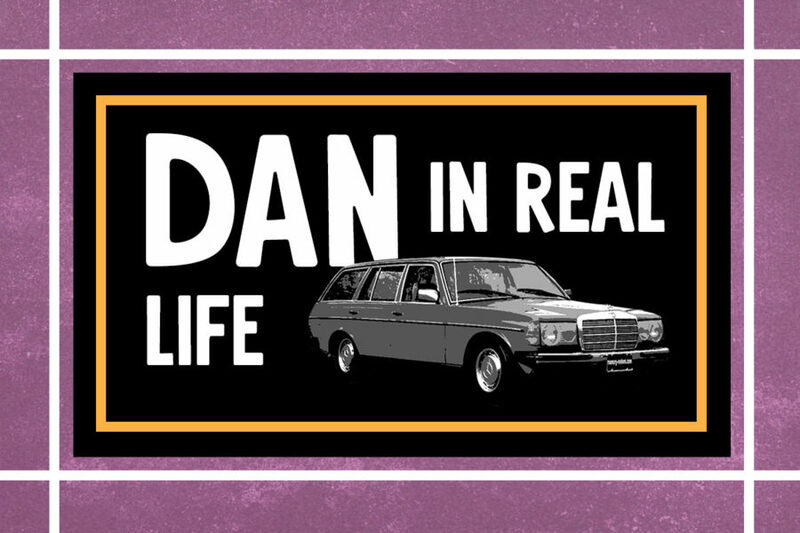 Ms. Percy: There are movies that I turn to whenever I feel lonely in my life, whenever I feel like I need a warm hug, and an actual human is not around, and Dan in Real Life is one of those movies. It captures the beauty of people, in the very best sense. 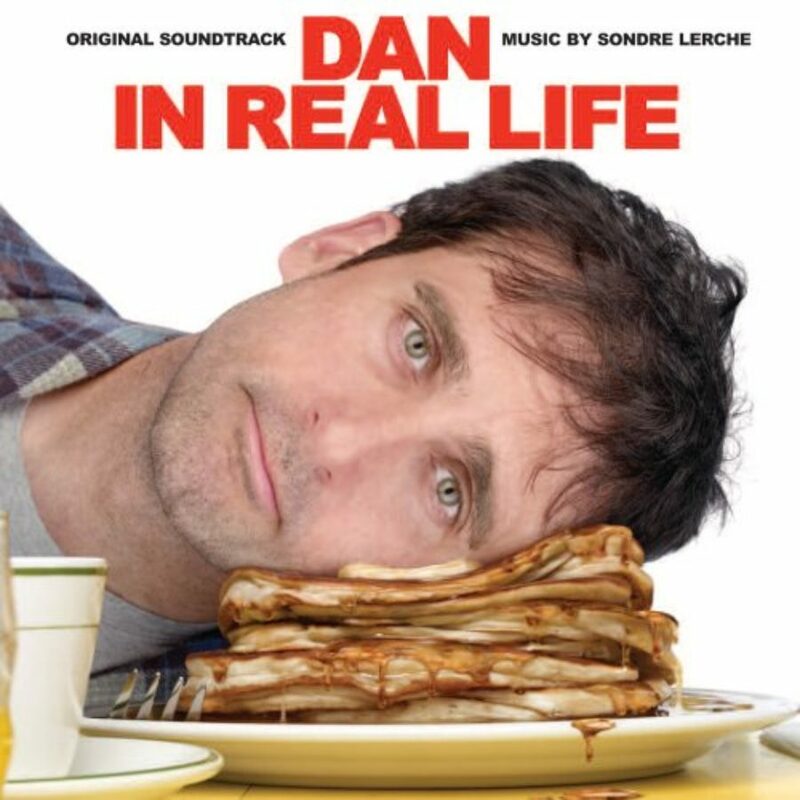 Written and directed by Peter Hedges, it stars Steve Carell, who plays this loving father, Dan — he’s the “Dan in Real Life” — who is also a columnist and regularly gives advice to people all across the country. He’s accessible; he’s warm; he’s kind. He has these three daughters that he’s trying to raise, since his wife died a few years back. He’s also heartbroken, and all of this vulnerability that he carries is at the surface of Steve Carell’s performance. Ms. Percy: At the center of Dan in Real Life is love. Love is a character in the movie, and it’s portrayed in a way that feels so real; in a way that most other movies don’t begin to capture love. We have a family — it’s a family movie. And yet, we also see love through different generations. We see it in the relationship of his parents, who’ve been married for decades, but we also see it in the way that’s it’s taking form in his teenage daughter, who’s discovering love for the first time. Ms. Percy: One of my favorite things about Dan in Real Life, besides the sexiness of Steve Carell, is Juliette Binoche. She’s his love interest in the movie, but they can’t be together, because she’s dating his brother. It’s rare that you see Juliette Binoche smiling and laughing as much as she does in Dan in Real Life, and that’s what she does in every scene. And it’s a joy to watch her light up the screen. You feel the joy that she herself is experiencing, as she’s acting alongside Steve Carell. And it’s important to feel that joy, because the movie is so tender and raw. 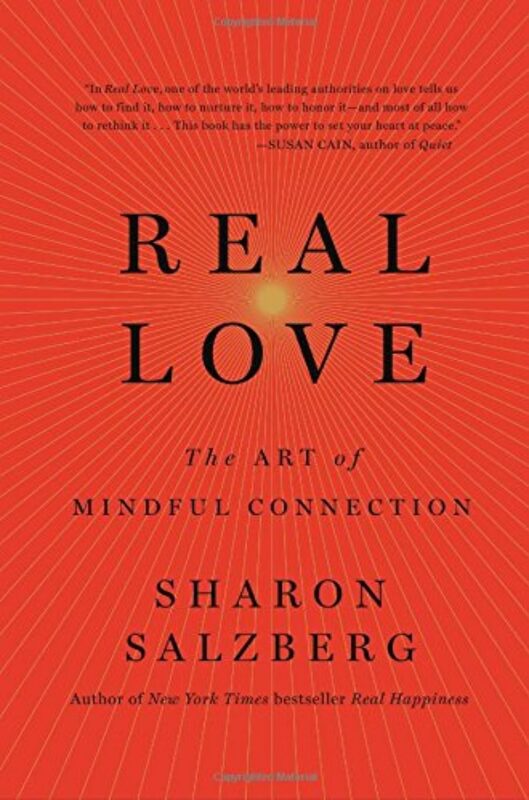 Ms. Percy: The complex portrayal of love is at the heart of Sharon Salzberg’s work. Sharon believes in love in many forms — not just in families, not just in relationships and friendships, but also, self-love. Her latest book is actually called Real Love and was inspired by a line from Dan in Real Life. Ms. Percy: So tell me, when you first saw this movie, what was it that really moved you that you found, that you weren’t finding in other places? Ms. Salzberg: Well, there is a particular line in the movie, which was very, very powerful — I love the movie, but there was a line that was extremely powerful for me, which is: “Love is not a feeling, it’s an ability.” And it so reflected some of the most powerful experiences I had in meditation, doing intensive meditation in my life, and particularly, this time I went to Burma in 1985, and I did a three-month, really immersive, intensive period of lovingkindness meditation, which is a particular methodology that is dedicated to opening one’s heart and looking — really exploring what love means and what it feels like for oneself, for others, for all of life. And like many really profound experiences, I think, it’s hard — for me, at least — to put it into words, but it was extremely important. And that was a moment when I was practicing, and I realized that up until a certain time there, when I was there, I’d always thought of love as kind of like a commodity. It was almost like a package in someone else’s hands, and if it was delivered to me, I’d have love, and if it was taken away from me, I’d have no love in my life, and I’d be bereft. And that turned around when I was there, and I realized, no, it’s inside me. It’s a capacity that’s within me. It’s mine. And other people — or other things, great art, or all kinds of things — might enliven it and nourish it and enhance it or threaten it, but it’s mine. And that was an enormous turning point for me, and there it was, right in the movie, in that one line. And so, of course, it is a feeling, as well, but I think that’s a tremendous limitation, and it is so far bigger than a feeling. It is an ability inside of us. Ms. Percy: What I love about that, especially as a single woman, is that I often feel like love is portrayed as something you only get if you are coupled or if you have a family, if you choose to have children. To your point, there’s a lot of places where you receive it, but it doesn’t seem like something you, yourself, can do — or, at least, it’s not portrayed in that way. Ms. Salzberg: I think that’s very much so. 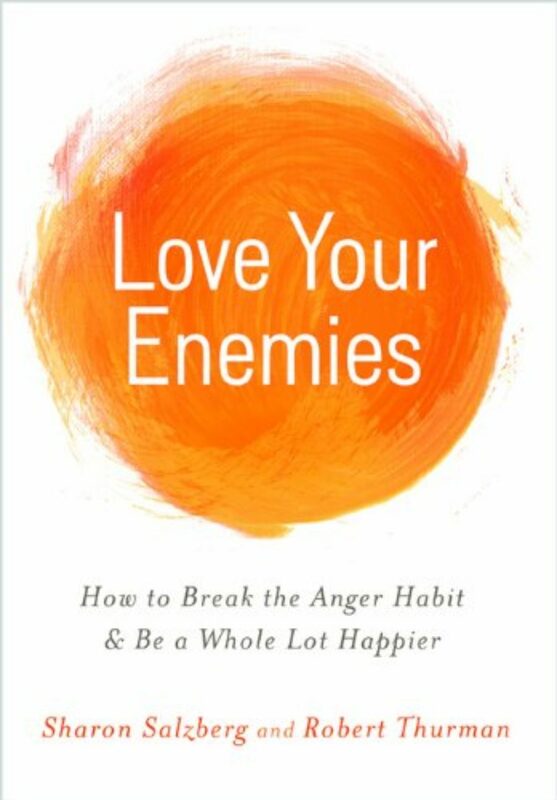 When I was first proposing the book, somebody said to me, “The love market is saturated,” meaning that the relationship market is saturated; like all those books on how to find a relationship, how to fix a relationship, how to end a relationship well. But I think the statistics are kind of startling. Somebody just told me that in a recent bit of research, something like 72 percent of Americans, whether they’re in a relationship or not, say that they’re lonely. And it’s actually not about whether one is in a relationship or not, it’s about a quality of connection, which can only come from within. And I feel like the main characters in this film, which are really the family that Dan has; his three daughters and him — that’s what they’re fighting, struggling with, these ideas. And I just wondered, you talked about that one phrase, but what else about this film really spoke to you? Ms. Percy: No; and in many ways, he says, as an advice columnist, he himself is not practicing a lot of what he is preaching, what he’s telling his readers. And his own daughter, the middle child, the 14-year-old — it’s through her that he finally realizes that he has kind of lost hope in love. Ms. Percy: It’s interesting, because watching it — I’ve seen this movie many times, because I love Steve Carell. [laughs] I love the character, as well, that he plays in the movie so much. And at first, it used to bother me that her character wasn’t as fleshed-out. Particularly as a woman, watching her, it felt like, oh, she’s just this beautiful woman, mysterious woman who comes in. But in many ways, I think that she’s just a vehicle for Dan to fall in love with himself again. He’s kind of lost that ability to even look at himself. Ms. Percy: So because of what we’re talking about, which is really connection in this way, I wonder how you have really shaped and defined love in a different way for yourself. I know you’ve kind of been talking about it here, but how do you find these connections? What are the ways that you look for them in your own life? Ms. Salzberg: But there are so many surprises in life. There are so many layers of subtlety and resonance, when we pay attention. And when we’re distracted, when we’re overwrought, when we’re bored, which is a way of not paying attention, then that connection is not gonna be there. And so the focus is really on changing the way we pay attention. And they’re very deep questions. For me, in my life, as I began practice, it was, who do I pay attention to, and who do I look through? And how do I pay attention to myself? In particular, do I only think about the things I don’t like and the mistakes I’ve made and the things I could’ve done better, or do I give a little air time to “Wow, you tried,” or “Look at that — you did five great things the same morning you did that stupid thing,” or whatever it is, and having a more expansive — truthful, in fact, view of myself and others? And especially around the issue of distraction — am I actually, really listening, or not? And if I am, then it is a different quality of connection that just emerges. Ms. Percy: I think that’s something that’s lost, often, when you talk about the idea of love, is that you have to be present and open to be able to receive it and give it. Ms. Salzberg: I think that’s very true. And it’s not only for new relationships, but it’s also for the person we’ve known forever. We certainly stop paying attention, and we have so many assumptions, whether a partner or a friend or a colleague. We kind of stop seeing the layers and the changes. And so, opening up to that possibility really does — it’s like the world gets much more vivid and alive, and it’s pretty great. Ms. Percy: I feel like what you just said so embodies the character of Marie that Juliette Binoche plays, because I feel like that’s one of the reasons why Dan’s attracted to her, is because she is so open to everything around her, in the way she carries herself, the way she receives people and listens and — I never thought of it that way. Ms. Percy: One of my favorite lines in the movie comes right at the end, when Dan’s writing his first nationally syndicated advice column. I don’t know if you remember, but he says, “If we’re really honest with ourselves, most of the time our plans don’t work out as we’d hoped. So instead of asking our young people, ‘What are your plans? What do you plan to do with your life?’ maybe we should tell them this — ‘Plan to be surprised.’” And I wonder, how has this journey that you’ve been taking, this journey of love, surprised you? What are the surprises that you’ve found? Ms. Salzberg: I think I’ve found — I’ve found a lot of surprises. And part of it is how available love actually is, for us, in that moment of being really present; and the poignancy too, of the longing, and how so many people define love in that romantic fashion and how — really, how lonely people are — it’s a kind of unpleasant surprise. And the other side of it is that connection is really near at hand. And we need to be creative and think of ways that we can find each other and be together. And yet, I think it’s really possible, but we can’t count on the, maybe, things we were familiar with. Ms. Salzberg: [laughs] Thank you so much! I was in Kentucky, I think — visiting bell hooks, actually. And I was teaching, and somewhere in the class, somebody said, “I don’t understand why you say this thing about people telling a story about us. People don’t know us. How could they be telling a story about us?” And I just said, “Everything in life tells a story about us; architecture tells a story about us, where you have to enter a building. And we’re constantly receiving these stories.” And maybe that’s another great thing about movies, is that it’s a conscious thing. We’re consciously going to see a narrative and a story being told, and finding ourselves in it, or not. And rather than the kind of unconscious or half-conscious thing, which goes on all day long — how someone looks at us and how they speak to us and how we speak to ourselves and whether we say anything or we just sit silently in the corner — everything is part of a greater narrative that we’re weaving and that has been woven about us. 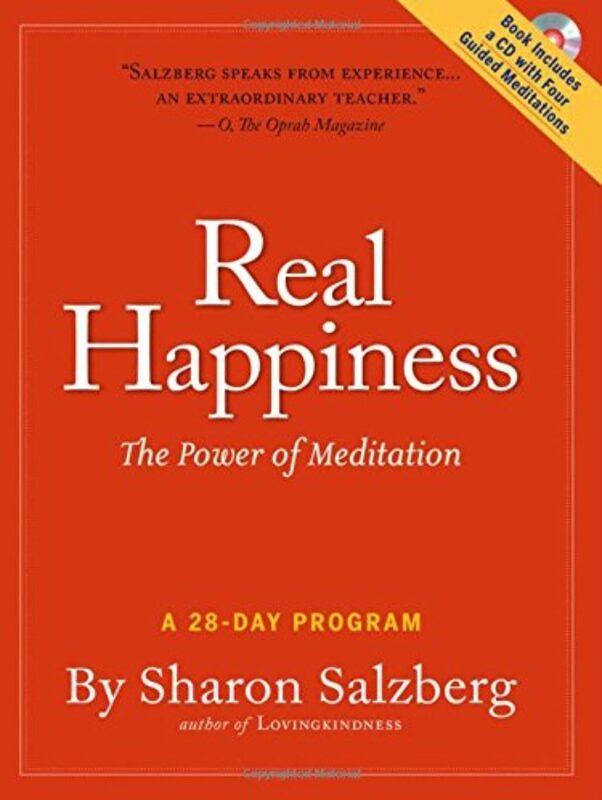 Ms. Percy: Sharon Salzberg is a Buddhist teacher and co-founder of the Insight Meditation Society in Barre, Massachusetts. Her book, Real Love, has so much insight and wisdom for approaching love and relationships, and it’s helped me tremendously on my own journey of self-love. Next time, we’re going to be talking about Richard Linklater’s masterpiece, Boyhood. You’ve got two weeks to watch that movie before our conversation. If you haven’t seen it before, a word of warning: It’s three hours long. So make some time, create the space you need to watch it. But trust me when I say, it’s worth every minute. You can find it streaming at all the usual places, and it’s also currently on Netflix. This Movie Changed Me is produced by Maia Tarrell, Chris Heagle, Marie Sambilay, and Tony Liu, and is an On Being Studios production. Subscribe to us on Apple Podcasts or wherever you find your podcasts, and if you get a chance, leave us a review — we loved reading Nat918310’s suggestion to include reflections on how these movies have also changed the lives of our listeners. So tweet @TMCMpodcast — that’s TMCMpodcast — and tell us how Boyhood changed you. I’m Lily Percy. Now go watch another Steve Carell movie that I that love, 40-Year-Old Virgin. It’s a different type of hug. 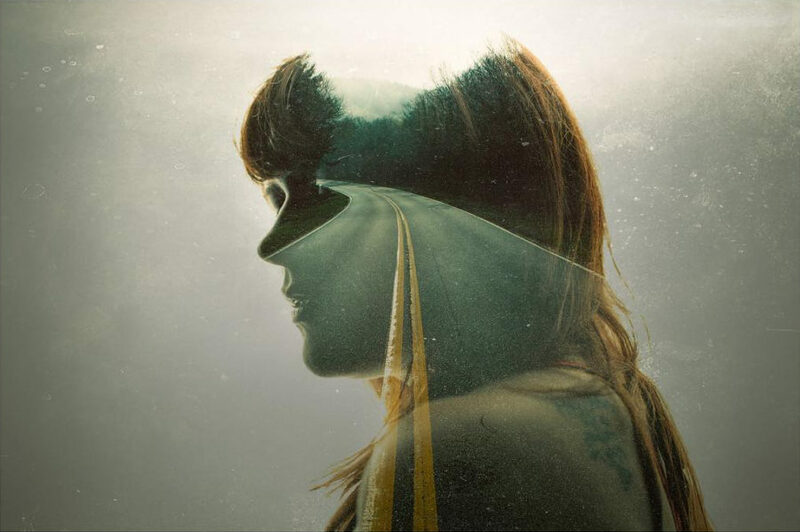 A woman's story of her family — fractured and bruised but not without deep, complex love. A reflection on mental illness and divorce, the infinite shapes a home can take, and the courage to carve out space in a world built around conventions.